Larry has been heard and seen on Lynchburg / Roanoke radio and television over four different decades. He was one of the original members of K92’s K-Krew in the Morning, when the station went on the air in 1980. In 1992, Larry left radio for WDBJ and News 7 Mornin’, taking viewers all over southwest and central Virginia in the early hours of the day. 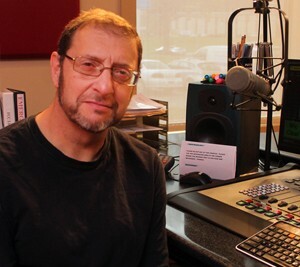 He returned to his radio roots in 1997 and has been heard across the region ever since, most recently joining Janet Rose and WLNI’s Morning Line in 2015. Larry is married to Glenna, and their kids have four legs and tails. That’s right – cats. When not at work, Larry loves to dream and plan his next cruise, whether it is to the Caribbean, Bermuda (his favorite) or Canada and New England. Catching a nap is nice – when possible – since his alarm rings at 2:20 weekday mornings. Janet is originally from Bristol, Tennesee and moved to the Staunton, Virginia area as a teen, and it was there she began working in radio while still in high school. Janet moved to Lynchburg radio as an air personality in the early 90’s, then left radio for a while to work as the Special Events Director for Lynch’s Landing. The non-profit organization won the Great American Main Street Award in 2007, due in part to her award-winning events promoting downtown revitalization. Janet returned to radio in 2015, joining Larry Dowdy as WLNI Morning Line co-host and preparing reports that run in our afternoon newscasts. She is a single mother of three children – a girl and two boys. Janet is a strong promoter of farm to table nutrition, and when not at work, you are likely to find her growing her own vegetables and herbs in her home garden and preparing locally-sourced meals. She also works with many women’s ministry groups in the region. 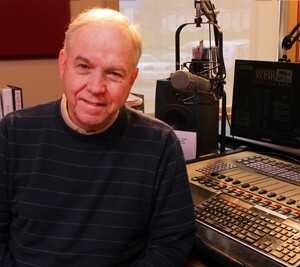 Evan has spent more than 40 years in radio and television news in virtually all possible on-air and managerial roles. Prior to his current role, he served as Executive Producer at WDBJ television in Roanoke. 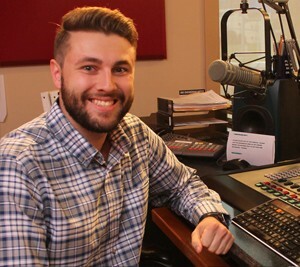 Along with his News Director duties, Evan anchors WLNI afternoon newscasts and prepares frequent reports for the Morning Line. Evan grew up in New England, graduating from Emerson College in Boston with a degree in Mass Communications. His wife Erin teaches middle school mathematics, and they have two grown children. When he is not at work, Evan devotes entirely too much time toward planning his next vacation – his recent travels include Norway, Iceland, Russia and Morocco. Gene is a long-time radio, print and cable TV journalist with a background in commercial and public radio going back more than 20 years. He provides frequent reports for the Morning Line and at times anchors afternoon newscasts. Gene has won several awards for local news coverage over the years, including two selections to the Virginia School Boards Association “Media Honor Roll”. In his spare time, Gene likes to run; he’s also appeared on stage in several plays and paints when inspired. The father of four, and now a grandfather, he spent many years in various sectors of the sales and manufacturing world before turning his attention full-time to journalism. Ian joined Wheeler Broadcasting in October 2014, operating the board for sporting events and other programming. He joined the News Department one year later, and he now prepares stories for WLNI that are heard many weekday afternoons. Ian graduated from Radford University in 2014 with a Bachelor of Science degree in communication. He spends his time away from work watching as much football as he can and playing bass guitar.